10 Best Micro Breweries in Iceland | and some new ones! 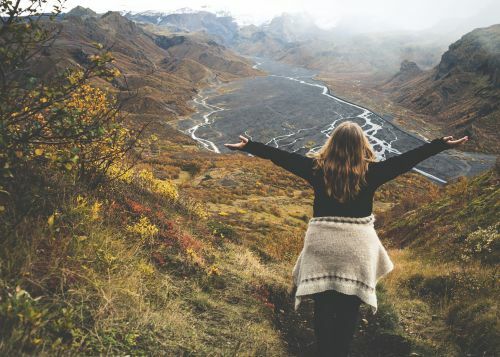 Iceland, the beer paradise: with all it’s running fresh and clean water and endless sources of inspiration and reasons to say SKÁL! Since 2006 the Icelandic brewery community has grown at a rapid speed and today they are as many as 26. 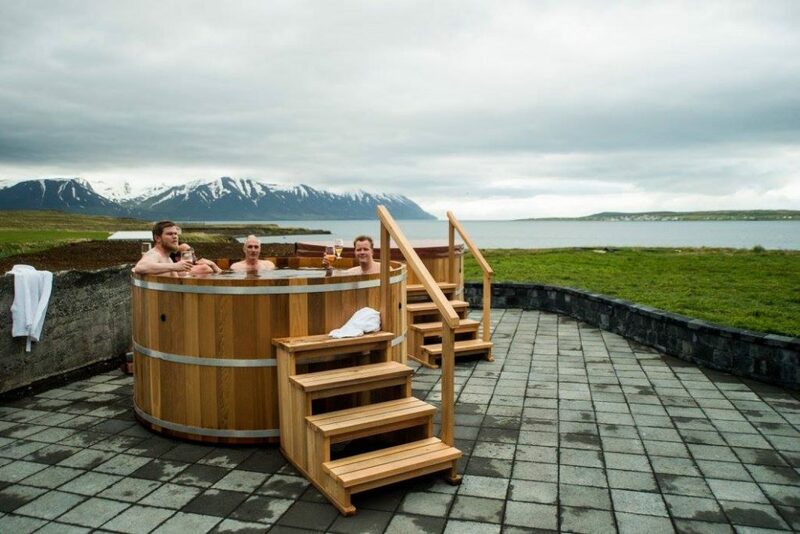 The first one was Kaldi, Árskógur that I will not list here as I would no longer list it as a microbrewery, today it’s one of the most popular brands in Iceland and has even opened up the infamous Beer Baths. The Beer baths are a fantastic facility where you bathe in young beer and live beer yeast. It’s said that if you withheld from showering until some hours later it will have very good effects on your skin and body. The treatment is said to be very cleansing for the skin and to have a really positive effect on health. All of the beer is brewed by the Kaldi brewery and you get to enjoy your own open tap whilst in the bath. You have two options, two and two in private baths or bigger tubs outside. More info on the Beer Baths here. Perfect to visit if you are in Akureyri. But enough with the Beer Baths and Kaldi here I will name the brands that need an introduction and deserve your attention. Drink up fellow beer lover, you have come to the right place! 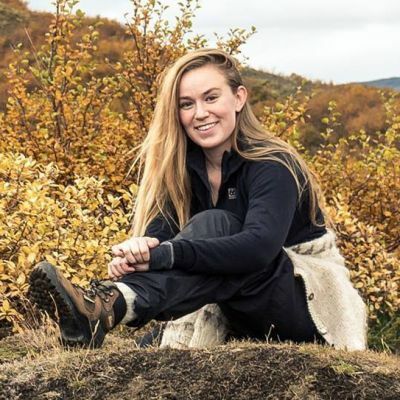 The Lady brewery is the first female-only brewery in Iceland. Their brewery doesn’t have a stable home so they are more a rover brewery. At this point in time, they are making their beer at Ægir brugghús, Reykjavík. You can often catch their beer at Skál, Hlemmur Mathöll, Hlemmur Square and Kex. Their bottles are beautiful as they have a graphic designer in the team. Actually, the whole team is quite artistic, they went into brewing by accident, they originally planned on making a scent but ended up making a beer, funny! Right?! But no worries, the taste of the beer shows not evidence and everything I have tried has been delicious. 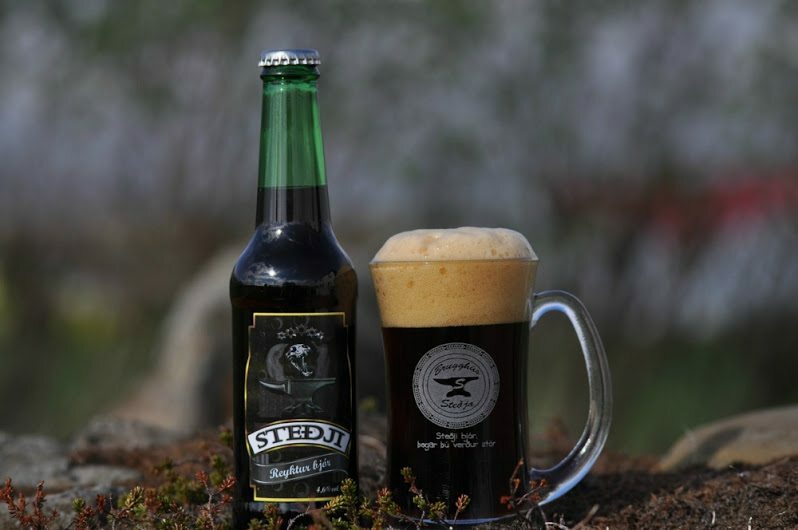 Steðji is one of the “farm breweries” located in the beautiful Borgarfjörður region in the West of Iceland. It’s known for their freshness and odd flavors as they are not afraid to try something different for example, algae and chocolate beer. Their beer is available at the ATVR (liquor store) and at Microbar in Reykjavík. They offer guided tours around their micro-brewery. The minimum for a tour is 6 people. Further information and appointments can be found at their website. 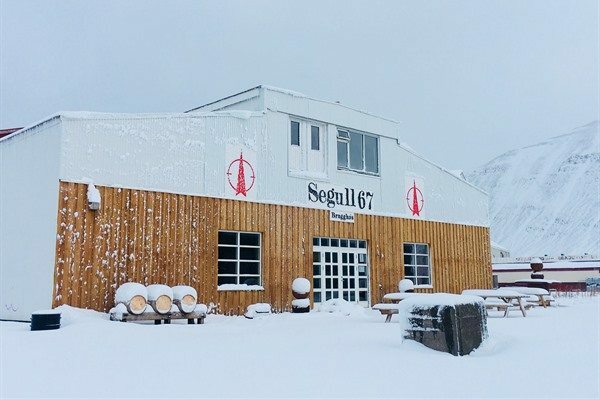 Segull 67 is a small, family-owned craft brewery in the charming little fishing village in the North part of Iceland, Siglufjörður. Three generations help out making the beer and its located in an old fish factory that has been altered to meet every standard of a good brewery. The name Segull means magnet and that is where the logo comes from; A magnet needle pointing North in a Compass. The number 67, has long been a lucky number in the family having to do with trucks and ships. You can book a brewery tour on their website or buy their beer at most ATVR, liquor stores. Bryggjan Brewery is an independent brewery, restaurant and bar at the Grandi harbor in Reykjavík. 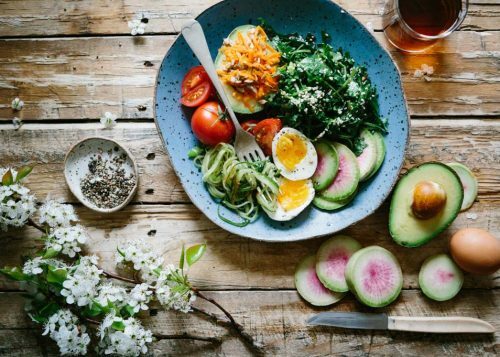 Located in the hipster paradise Grandi this place is great for anything from brunch to dinner to drinking. They have a beer school – An educational 60-minute course that includes plenty of beer and delicious food. Included in the school is a variety of three beers from the brewery, can be anything up to 1.5 liters. They also offer a beer tour where you can choose from 3 or 6 beer tastings. Their beer can be purchased on the tap at the bar. More info on Bryggjan Brugghús. 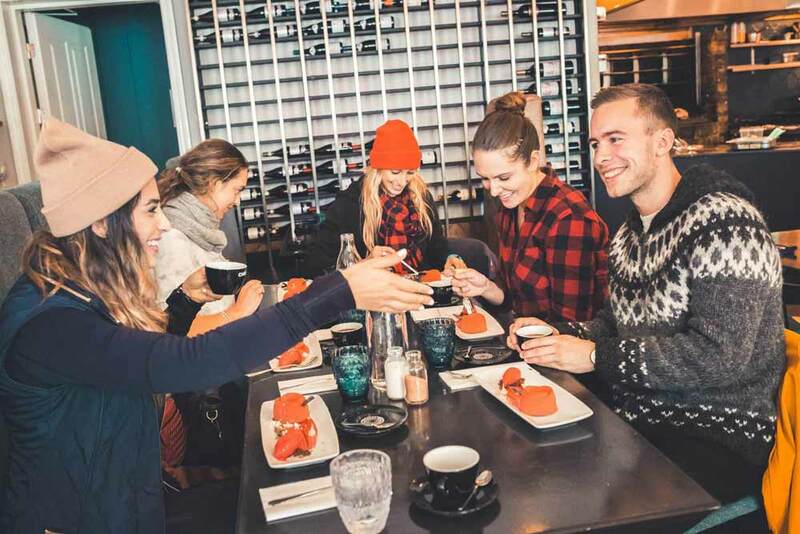 Arctic Adventures offers a wide variety of Local Craft Beer Tasting Tours, including the Bryggjan Brewery Beer Tasting Tour. The one in the Vestmanna Islands. Owned and ran by a group of local friends who had long had a dream of making their own beer the Brothers Brewery has been in business since January in 2016 after starting to brew in 2013. Many of their beers are named after famous Icelanders and it’s really fun to get the story with each glass. You will find them easily in Vestmann islands or sometimes they have kegs at Kex or at Skál at Hlemmur Mathöll. Ölvisholt is another farm brewery on the South Coast of Iceland, near Selfoss. It is a microbrewery located in an old dairy farm and was founded by two beer-loving neighbors. 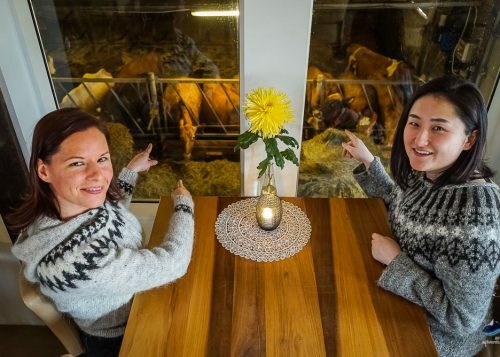 Ölvisholt’s old cowshed has been rebuilt and is now serving as a taproom and you can visit. On tap, they always have their freshest beer and also a selection of others beers their product line. You can drop in, book an open brewery tour or special tour for your group. Ölvisholt has been in the business since 2006 and is not starting to export their beers to USA and Sweden with more countries lined up in the future. Their beer is sold at most bigger bars and at the ÁTVR liquor stores. Gæðingur Micro Brewery is located at the farm Útvík in a fjord in the North of Iceland, Skagafjörður. The fjord is long known to be the cradle of the best Icelandic horses so it was more than fitting to name the company Gæðingur e. A Great horse. The Brewery was founded in 2011 and happened almost by accident: The stable that had been used to cattle lost its role at the same time the owner and a friend were returning from a course in brewing in Denmark and UK, so they couldn’t waste the opportunity and started brewing in it. That is still today their brewing station. For more info on Gæðingur check their Facebook page, Gæðingur. You can taste their beer at Microbar in Reykjavík or buy at ÁTVR, the liquor store. A dream of a couple and friends to serve the best pizza and delicious home brewed beer with it has come true. Located in the geothermal paradise Hveragerði Ölverk has been in business since 2017, starting with pizza and quality imported beer but now also THE FIRST GEOTHERMALLY BREWED BEER IN EUROPE. This is one for the bucket list. Find more info about them on their Facebook Page, Ölverk. 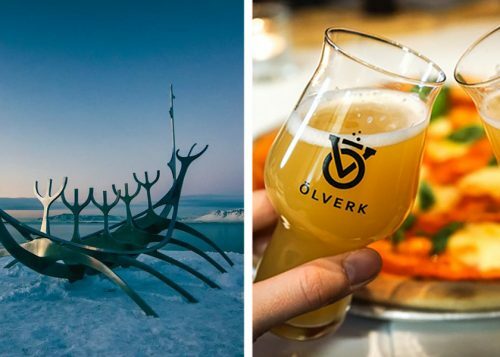 Arctic Adventures visits Ölverk and tries their pizza and beer on their new Golden Circle Local Food tour and people are already obsessed with it! Simply the best way to do the Golden Circle. Fun fact: The couple worked as River Rafting tour guides for Arctic Adventures for many years so Ölverk has a special place in our hearts. The only one on the South East coast Jón Ríki or John the rich is a family owned and operated business that focuses on local produce and quality malts. This makes for excellent quality and fresh food + some innovative craft beers. Their location, near Höfn, is a perfect stop for those heading out to Jökulsárlón, Skaftafell area or doing the Ring Road. Get more info on Jón Ríki on their Facebook Page, Jón Ríki Brewery & Restaurant. They are just getting in the game now in 2018 but are well worth looking out for. The trio behind the brand are the brothers Andri and Ingi who have for a while been importing amazing beers and are quite known in the beer scene here in Iceland and with them Bergur, the man behind Bryggjan Brugghús. They will focus mainly on IPA, hazy NEIPA, imperial stout and sour beer. Everything will be either keg or can. Follow their Instagram to see when their beer starts to flow for us to buy! 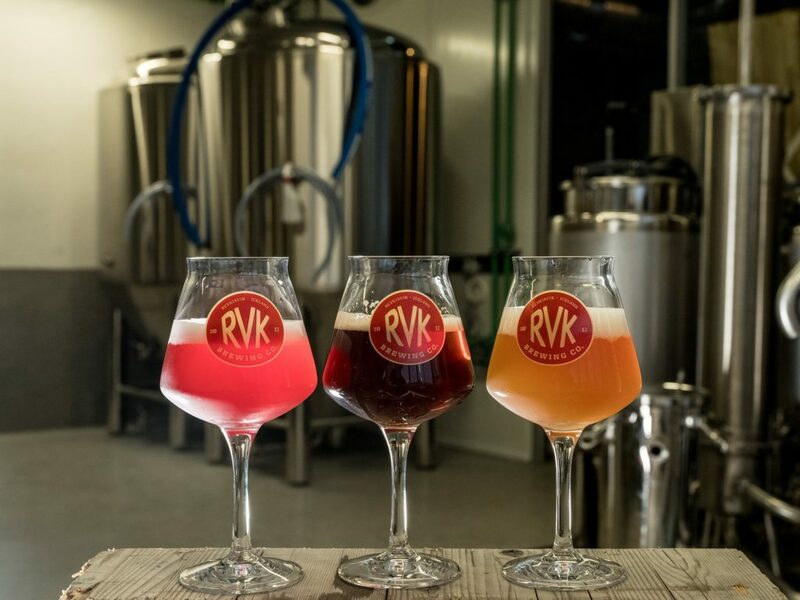 Opening up in fall the RVK Brewing Company is one of the new ones. The company was founded 1st of March (Iceland’s national beer day, 2017) and the team started brewing right away. 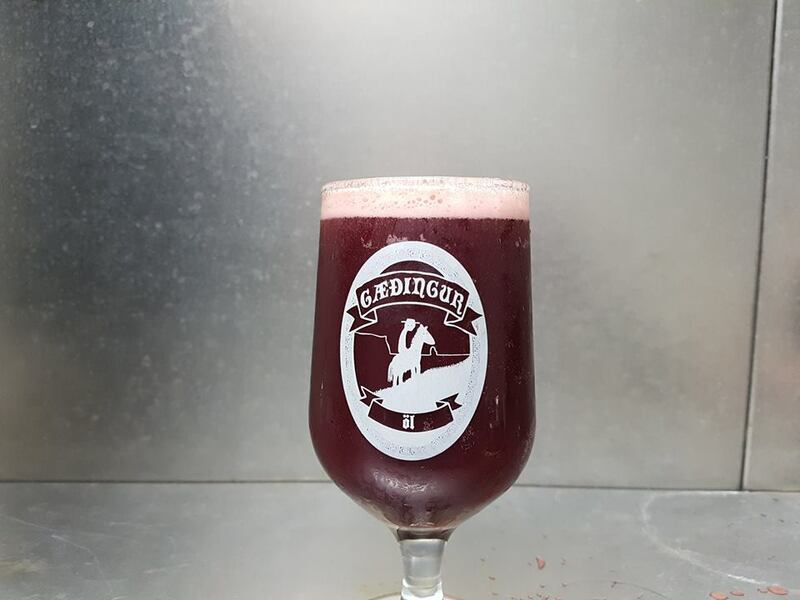 They will be located in Skipholt, 105 Reykjavík and will offer beer tours in the brewery, this we know now and are excited to fill you in once more info is realized! Have you ever tried a sip of an Icelandic beer? Share with your beer loving friends! Beer brewing culture is certainly on the rise in Iceland, since the day the Icelandic beer prohibition was lifted the trade has really prospered. 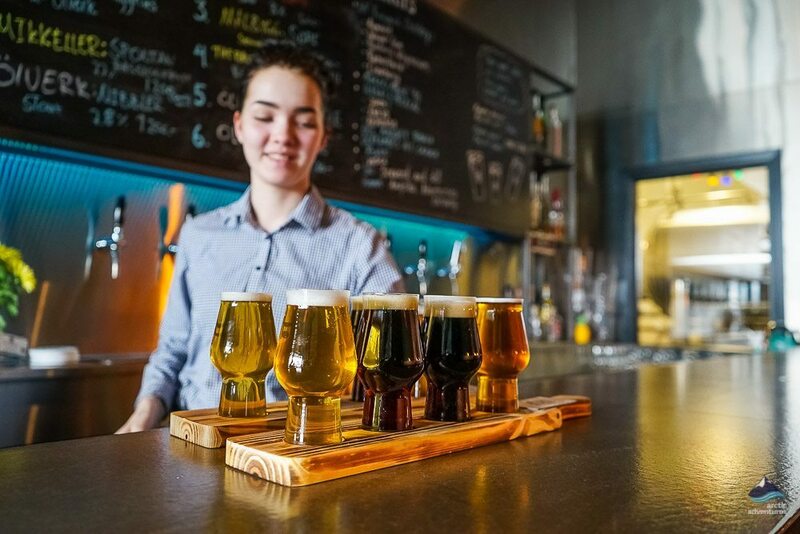 Today, a fine selection of quality local craft beers are taking on the bigger beer brands, in Reykjavik beer culture is thriving like never before. Picking the best is an ongoing competition and a really tough one, but we’ve decided to try to show you the best! Icelanders make great beer, that's a fact! We can't make wine so we focused on beer and since the beer was banned until 1989 we brew it with passion and privilege. 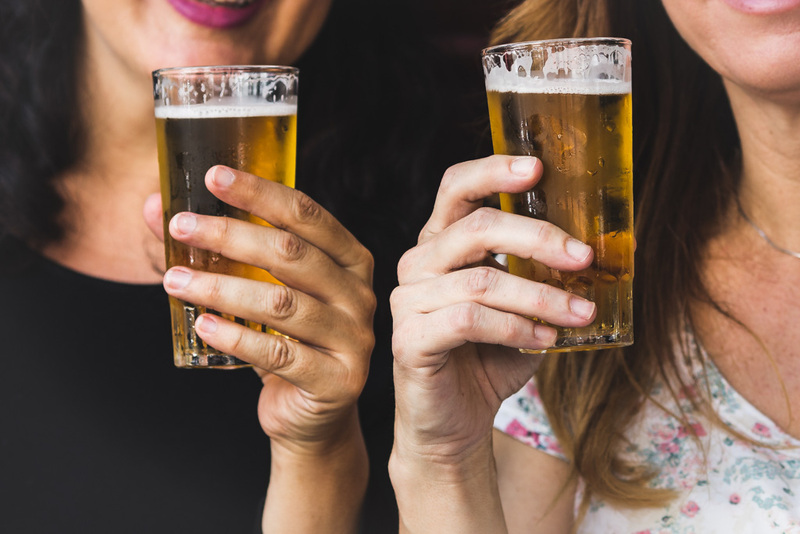 Are you looking to know about the most popular beer in Iceland? Where to buy the best beer in Iceland? What is so special about Icelandic beer culture? We got you, read more in the blog!